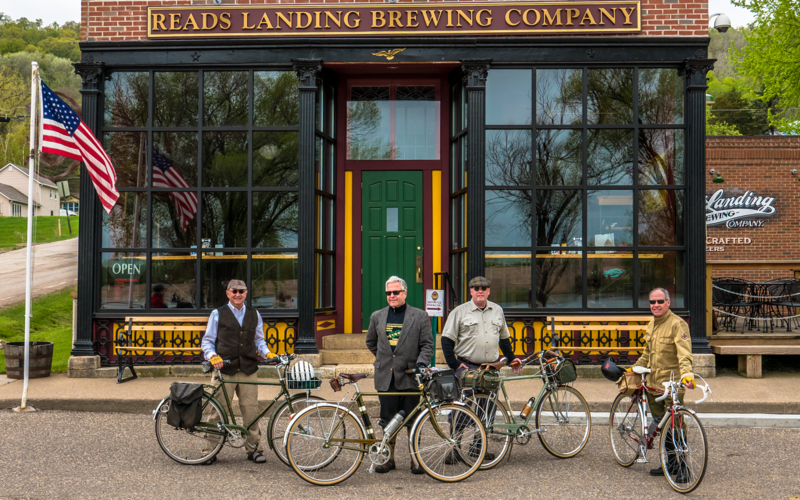 The Lake Pepin 3-speed tour was a blast! After Maiden Rock, I took the Stockholm Bypass, which is actually a short cut (although there is a bit of climbing, but actually turned out to not be that hard). 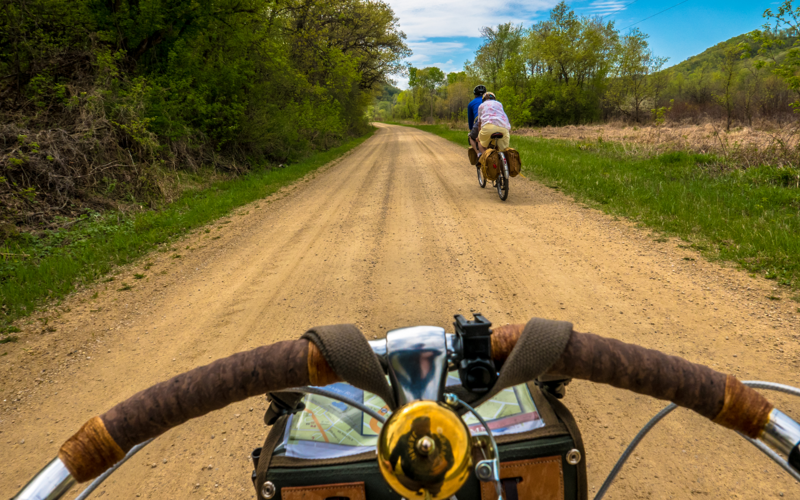 We bypassed Pepin as well, rejoining the route just as hiway 35 drops into the Chippewa River bottoms. It was cool to see the 650b wheels on Jeff Bock's bike, and I saw one bike equipped with Weinmann alloy 650a rims. So maybe the CR18s are not the only game in town. Weinmanns. SJS sells them and some others as well. 36 hole only. Surfing Dutch sellers and found a number of steel and Al rims in the proper size, but all 36h. Dutch seem to have a lot of bikes with the 590mm rims. Photo by "The Quicker Vicar"
I want to play! Based on that photo, I'm going to guess a Super Course Mk. II. 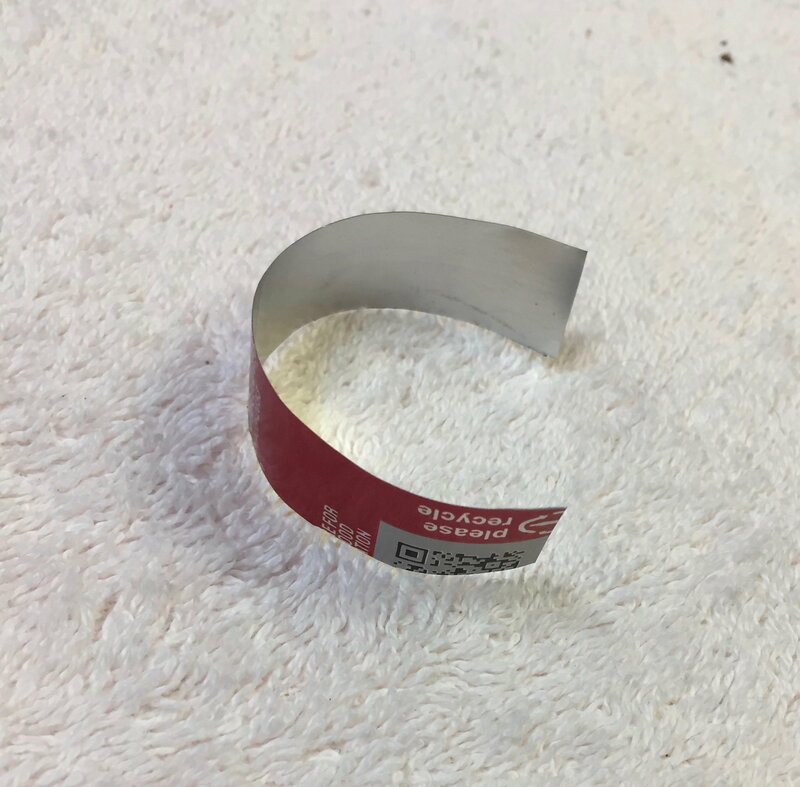 Last edited by Kilroy1988; 05-16-18 at 09:31 PM. After reading a little in this thread it's tempting to join the fray... then something like this comes along... mint! I won't do it though. Maybe someday. Bikes are okay, I guess. Early insulated water bottle. Had one just like it. Actually kept cold water cold longer than a standard bottle did but capacity was half that of a standard bottle, so net negative. So long, bottle. 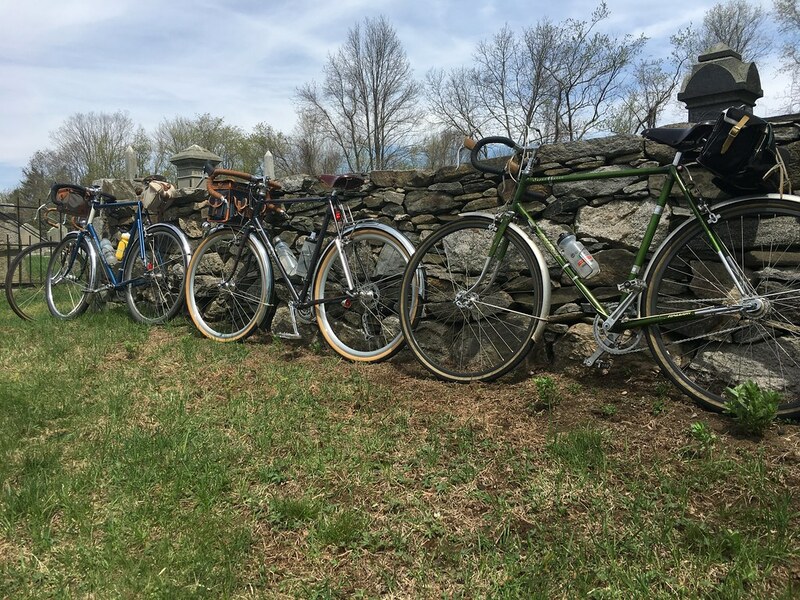 Bikes: I finally have all the bikes I need. 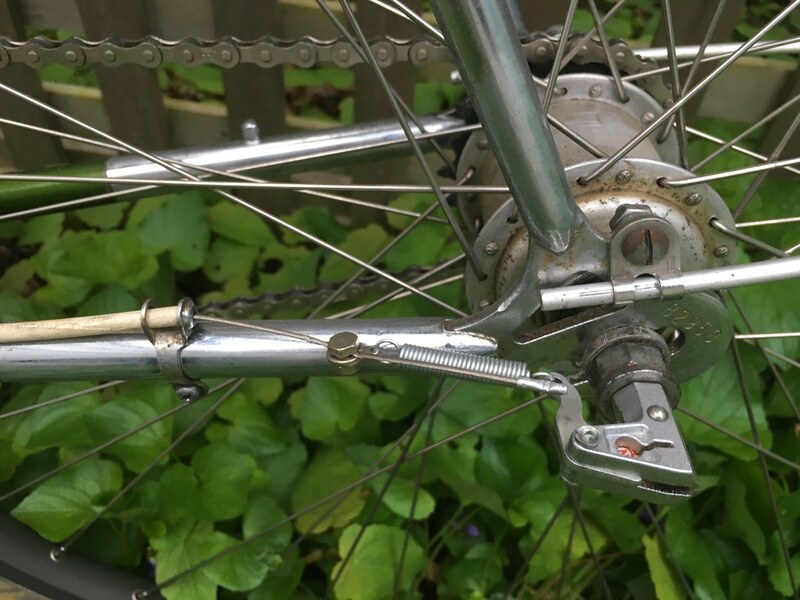 Similar to the project I am about to undertake; a first-generation Super Course with a vintage Sturmey Archer AW drivetrain. I am trying to find a good match for the old bronze-green metallic paint right now. Otherwise I'll have to settle for a kind of Hunter or British Racing Green with Almond Creme panels. 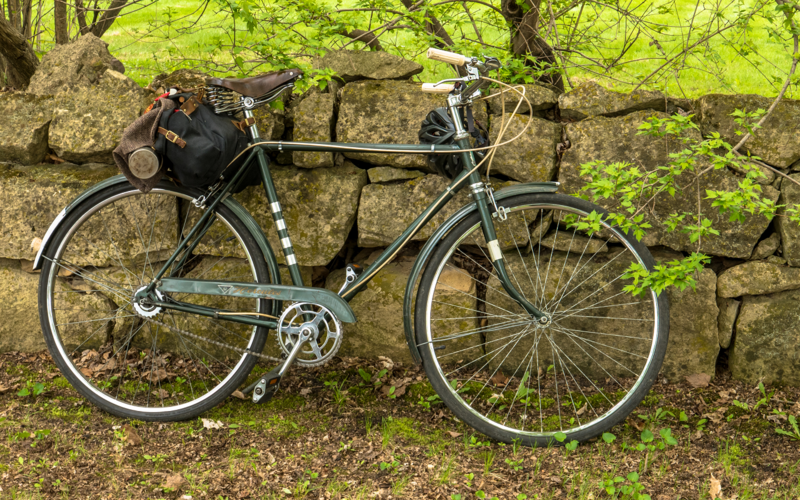 This bike will also get the bamboo compound curve fenders I bought from Woody's. Should look pretty exotic when I am done. This time I will take enough "before" photos so I can do a proper build thread. Rouler pour la joie, jamais pour la douleur. Looking forward to seeing this project. 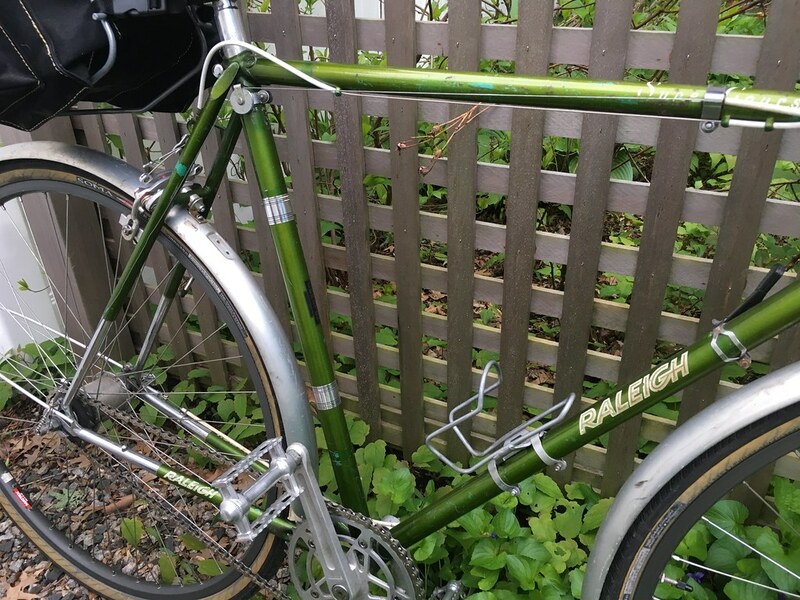 Making a IGH vintage style club bike with a Super Course frameset has been a daydream of mine for a long time. Somehow, I ended up going the other way and spend most of my riding time on big roadsters. Well, I can tell you that my experience with the Raysport Light Roadster build has been positive in all respects. Lightness is an attribute that really shines on long road rides, for obvious reasons. The tighter handling and ease of climbing make up for the slight loss of stability. Having said that, however, I don't think I'll be getting rid of my DL1 any time soon. On some days I just feel like sitting up straight and rolling down the road with dignity. It's almost like a one man parade; and I usually feel underdressed. Where does one get a tophat these days, anyway? I really like the looks of this old Hercules. Here's a closeup of his "kit". 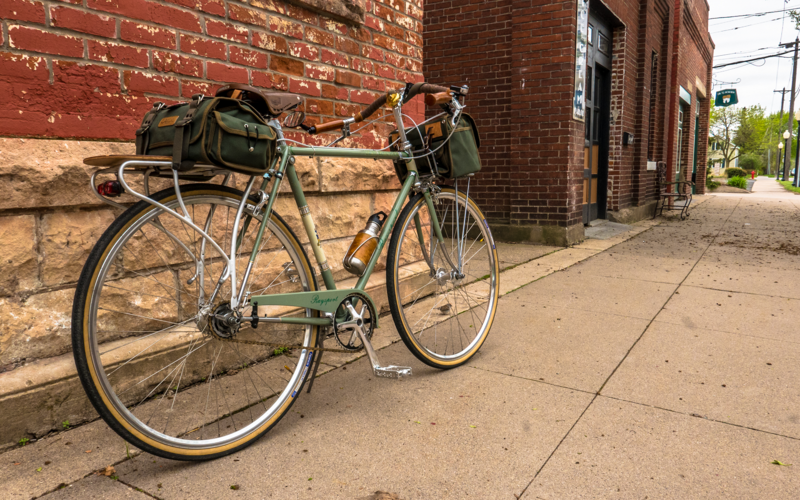 As the day warmed up, the tweed came off, and where else can you stow it on a bicycle? Another "kit shot", this one on an old Phillips. On Sunday afternoon, I rode with a couple from Iowa; Rick and Lisa Paulos. 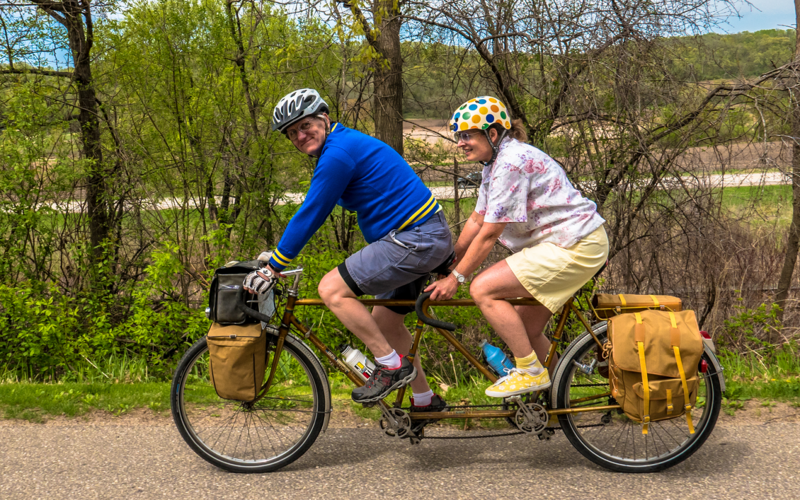 They were pedaling their Jack Taylor tandem at a respectable pace, and we settled into a mile-eating rhythm that took us on a couple of off-highway excursions. This dirt road was a welcome break from the mad traffic on Highway 61. Here they are on another backroad, paralleling `61. Last edited by DQRider; 05-18-18 at 08:25 AM. Man, what a fine day out. So many new bikes look freakish to me. Not that there's anything wrong with that. 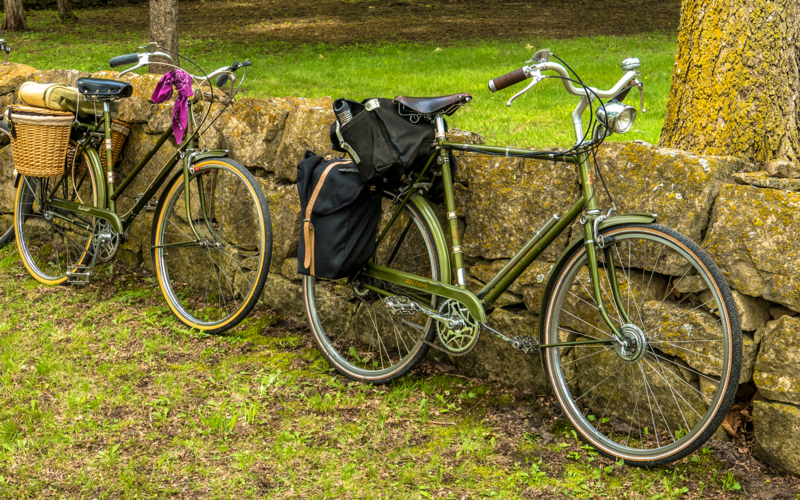 But a ride composed of bikes made the traditional way, whether diamond or step-thru frames, what a relief on the eyes. That's a very nice find. I hope someone here gets it. It's in the wrong thread... I'll put it in the "are you looking for one of these" Craigslist thread, and maybe someone from here will pick it up. All things considered, I think it was very appropriate here. @nlerner - Hey, so honestly, how did it perform? The hub I overhauled? It was a joy to see the innards of one of those! That photo with the rock wall backdrop is great. Reminds me of what I imagine old time England looks like. "Unthinking respect for authority is the greatest enemy of truth." Albert Einstein. This one popped up but I am in Texas won't be back till Sat. What year model does this look to be? It has the chainwheel without V brackets, that started sometime in 1973. It still has the plain hockey stick chainguard. The hook style guard first appeared in the 1977 catalog, so I'll guess 1973-1976. Some days, it's not even worth gnawing through the restraints. My bet is you have made this problem go away forever. The '72 Superbe is mine. Although I have a good number of bikes, I wind up riding this one more than any other. Its my commuter to work and whatever errands, since it has the handy fork lock. 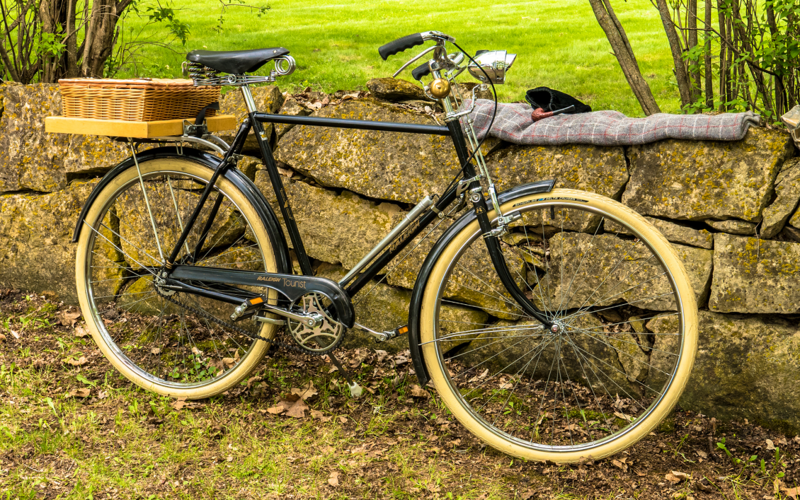 Her bike is a 1967 Sprite 5-speed, which worked nicely as last year she had to hike some portions of the route. This year she rode all of it including the Bay City Hill. Wow! 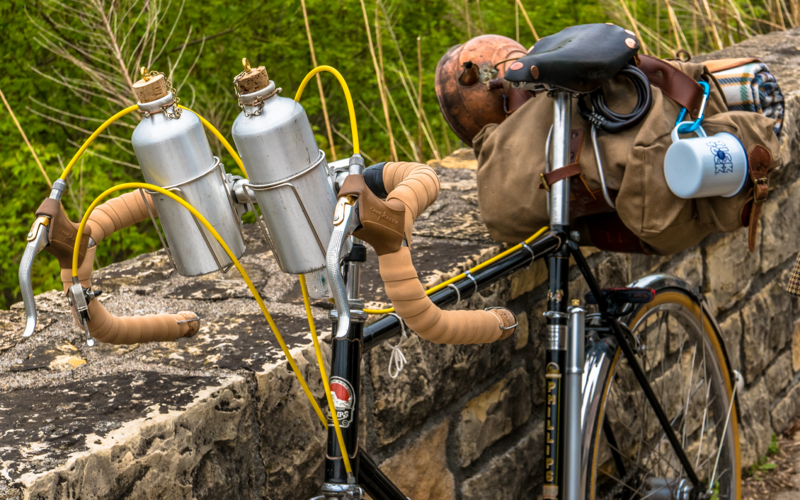 There's my daydream bike come to life. Great idea using an S5 hub. I would have loved to see pictures of the S5 rebuild. Looks like a super fun ride...I'm inspired! Nlerner would you mind taking a closer photo of the left hand side of your S5 routing? It looks tidy. 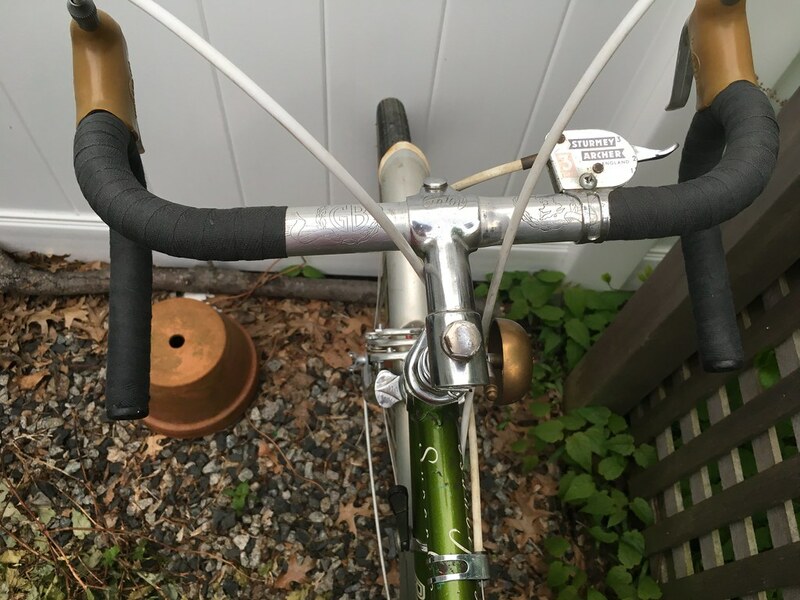 I have an S5 project bike and would like a neater solution to what I've done in the past - too many cables on the handlebars. 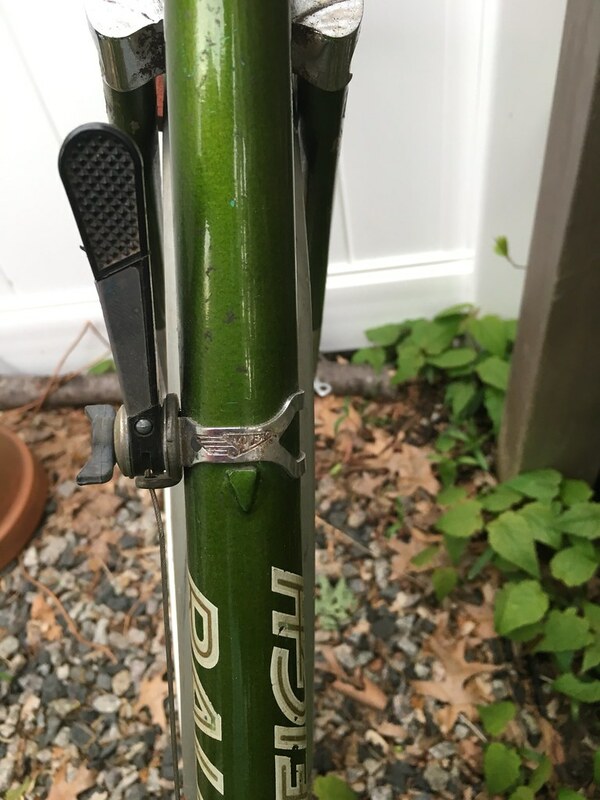 It's a bit hard for me to see, but it looks like you're running bare cable from the lever to a stop/clip around level with the chainring teeth, then outer to the chromed part of the chainstay? And bare cable on the other side? And Yes! How did the S5 perform? Thanks all for posting images from the Lake Pepin tour. I'd like to do this sometime. Nlerner would you mind taking a closer photo of the left hand side of your S5 routing? The CT ride was fairly hilling and the hub had some difficulties in the low gear under load, but it was manageable. I see you used a Shimano bell crank. I always wondered if they could be made to work for the S5. 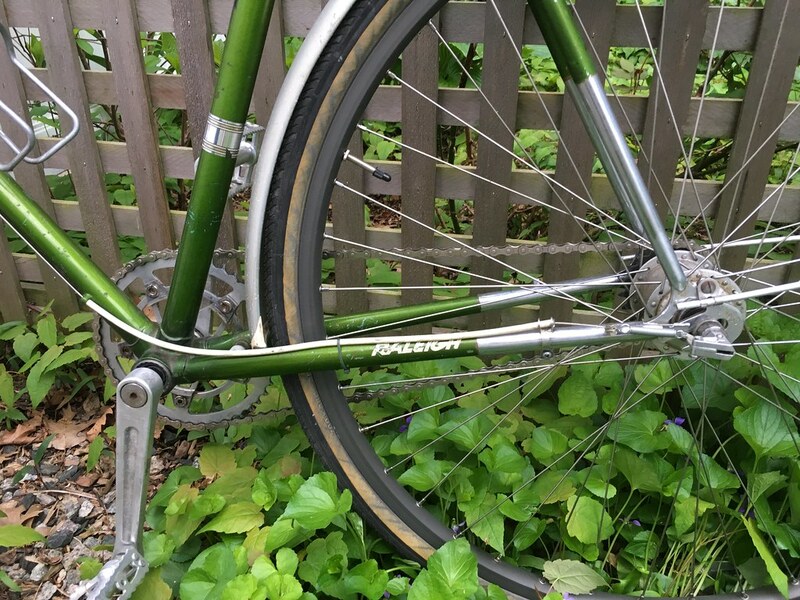 How did you get it to hold on the Raleigh threaded axle? I got that one from Mark Stonich/BIkeSmith Design, and he retapped it for Raleigh-specific threading. All times are GMT -6. The time now is 12:12 PM.